Sleep is for the weak: Let's get moving! I am not a very athletic person. I played sports in high school (screwed up my knee) and have actively avoided any sort of extreme physical exertion since. I'll walk around and I won't shun difficult hills or distances, I'm not a lazy slouch, I've just never been one to "work out". Last year for our anniversary the hubs got us both fitbits to track our steps. This all started while we were in Japan and our days would be miles and miles of walking up hills and stairs and all over creation. We were curious how far we went but didn't have any way to measure. This would be fun. The fitbits track distance, stairs, steps, the intensity of the movement, and sleep. We became fitbit friends on their site and it compares our accomplishments each week. And each week I have lost. 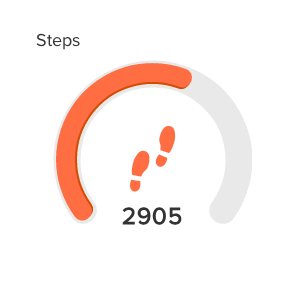 The default goal for steps is 10,000. I think I surpassed that once, maybe twice. I set my goal down to 5,000. I still never reach it. My new goal: surpass 5,000 steps every. single. day. Once I start reaching that goal my next will to have some sort of higher level of activity. I suspect that will happen on its own. I don't want to start running or anything because I know I won't keep that up. I'm going for a slightly more active lifestyle than I current enjoy. 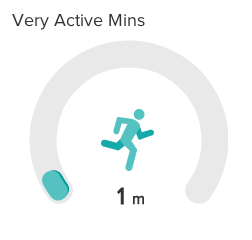 Anyone else have a fitbit and want to join in the fun?